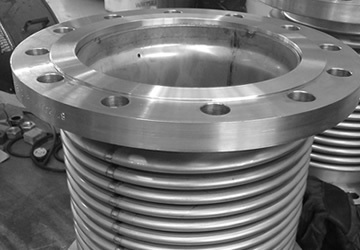 One of the more extensively used expansive joints throughout the industrial world, stainless steel expansion joints have found a home in the power generation, chemical, piping and process plants sectors amongst many others. Depending on which specific application you require it for, any good supplier will be able to customise your expansion joints so that they are either hinged or unhinged amongst many other factors to consider in your requirements. As for the range available, a supplier such as Buckley Industrial will be able to provide a varying measure of sizes as well as having the additions of welding ends, special fittings and flanges available. Although stainless steel varieties are known for their robust nature, should the product deteriorate to then an instant replacement option is available. Services are available from Buckley Industrial to replace existing units by designing and manufacturing suitable expansion joints. These are designed to replace existing parts without the need to modify the system to accommodate them.